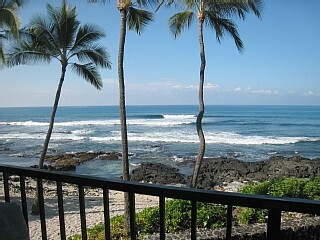 View from a condo on the Big Island, Hawaii. Courtesy of HomeAway. Whether you’re planning a week on Sanibel, a getaway to Vail or a sun-filled sojourn in the Caribbean, Hawaii or Mexico this winter, there’s probably never been a better time to find a great deal on a rental condo. Not only are owners cutting prices in this slow vacation market, but a condo typically offers savings over a comparable hotel room. You often get a living room, multiple bedrooms as well as a kitchen, which allows you to save on the cost of eating out. The best place to find a rental is at sites such as forGetaway.com, PickPackGo.com and Zonder.com that list professionally managed rental properties. But you can also rent directly from tens of thousands of homeowners at sites like HomeAway.com and its subsidiaries, such as VRBO.com, VacationRentals.com, GreatRentals.com and CyberRentals.com. Another (often overlooked) source for rental condos is timeshares. Those that can’t be used or traded are often put up for rent at MyResortNetwork.com and RedWeek.com. But the golden rule with any rental is to pay with a credit card or through PayPal. That will offer you a measure of protection in case something goes wrong.